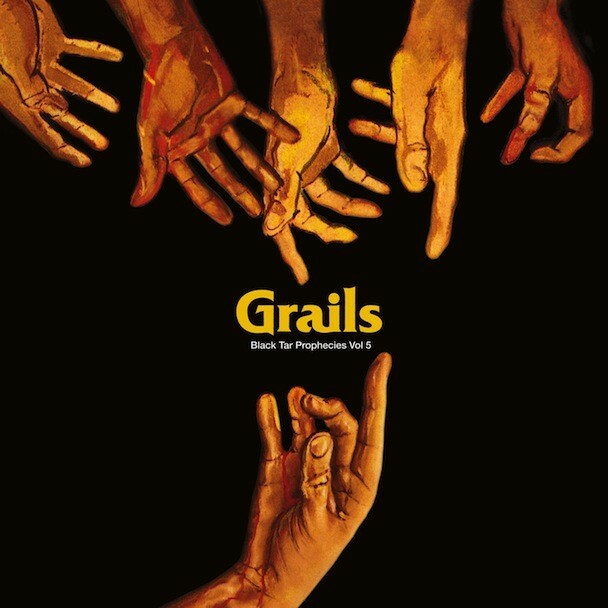 Portland, OR instrumental band Grails share a drummer with Om (Emil Amos, also of Holy Sons and Lilacs & Champagne), but there’s a shared sensibility, too: Both bands deal in complex yet meditative explorations of sounds spanning psychedelia, ambient, doom, Eastern music, prog, and beyond. Grails’ forthcoming release, the split-LP Black Tar Prophecies Volume 5, is the latest installment of their triumphant Black Tar series — “a repository for the band’s more idiosyncratic forms of composition” — however, it also builds on the panoramic beauty of the band’s last LP, 2011’s Deep Politics. “Wake Up Drill II” is a sequel to “Belgian Wake Up Drill,” which appeared on Grails’ 2006 album, Black Tar Prophecies, Vols 1, 2, & 3. It clocks in at four minutes, but it somehow fills that short span with a complex kingdom of sound. It’s spacious and wondrous, and if it went on for days, I’d keep listening. Check it out. Black Tar Prophecies Volume 5 is out 10/30 via Kemado. The split LP features Grails on one side and Finland’s Pharaoh Overlord on the flip. Both bands are worth your time.